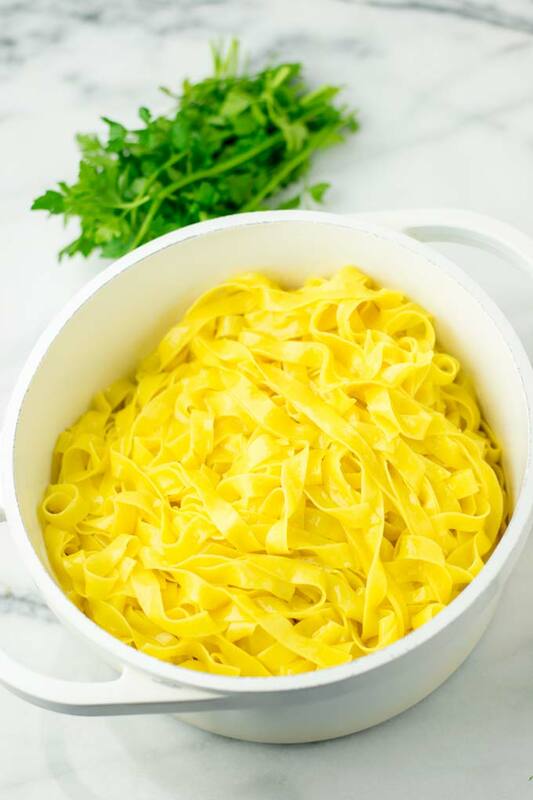 This Garlic Noodles Recipe is the only recipe you’ll need for all your easy pasta recipes for quick dinners. It is kids friendly and seriously a keeper for any 20 minute meals that will satisfy everyone in no time. No one would ever guess this is vegan. Seriously meat or cheese lovers, you can’t tell the difference. It tastes just like the real deal if not even better. Pasta with a pasta sauce from scratch! Oh heck yes, I’m always in. 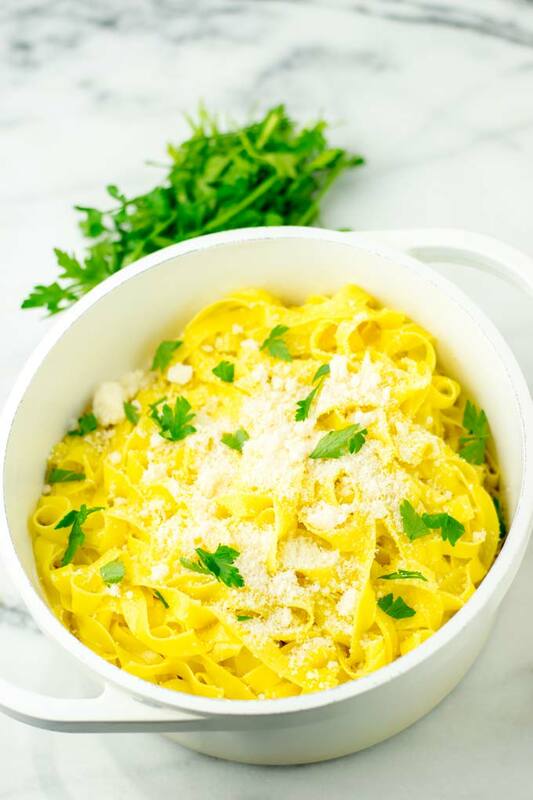 Be sure to checkout all my vegan pasta recipes like this Vegetarian Fajita Pasta, the Garlic Brussels Sprouts Mac and Cheese, or the Buffalo Cauliflower Lasagna. All are so worthy to make. They are easy noodle recipes with few ingredients needed to make an amazing dish. Here and there, I hope you’re going to love this Garlic Noodles Recipe. 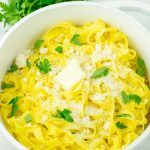 It’s creamy, buttery, rich, indulgent, filing, cheesy, comforting, simple, bold, divine, amazingly satisfying, super easy, impressive, luscious and a must have on any plate. And of course your favorite pasta. But what is the best pasta? 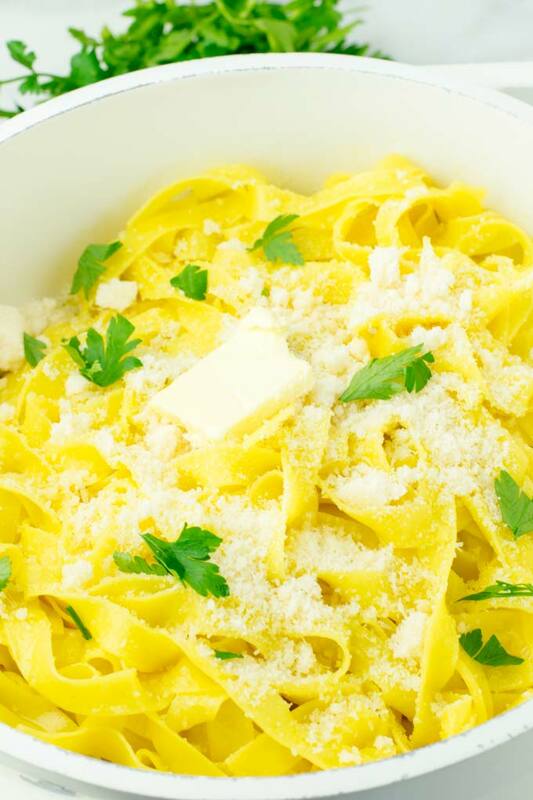 If you need a guide, check out “Pasta Shapes and the Best Sauces to Pair with Them“. So basically all you need is 5 ingredients to make this garlic noodles recipe. You can see I used my vegan parmesan cheese, which is so easy to prepare. Just add garlic powder, nutritional yeast, cashews and a pinch salt in blender. Pulse into a flour like texture. First cook your pasta according the package directions. While you do this, heat a pot and bring the vegan butter to melt and add minced garlic. Fry it for around 4 minutes on low to medium heat. Stir in the vegan Parmesan and coconut milk until everything is well combined. By now the pasta should be done. Drain, then give to the pot with the creamy garlic sauce. Mix well with and cook all over medium heat for 2 minutes. Finally season with salt and pepper and serve on plates or in bowls. 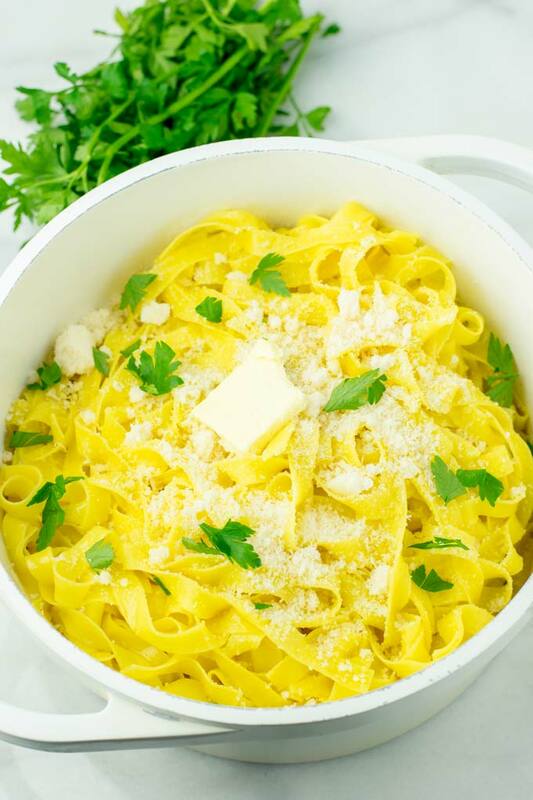 This Garlic Noodles Recipe makes you the ultimately comfort food that you’ve been waiting for. It is a keeper for meal prep, lunch, dinner, dinner ideas for two, family favorites, and so much more. I made this for a bunch of friends and no one could believe it is dairy free and made without any cheese or cream. If you’re a picky eater or have one in your family, serve this and you will make everyone happy. White sauce pasta: just increase the amount of coconut milk. Or use a different one, such as cashew milk or almond milk, add a bit of starch or flour and you’re ready to go. 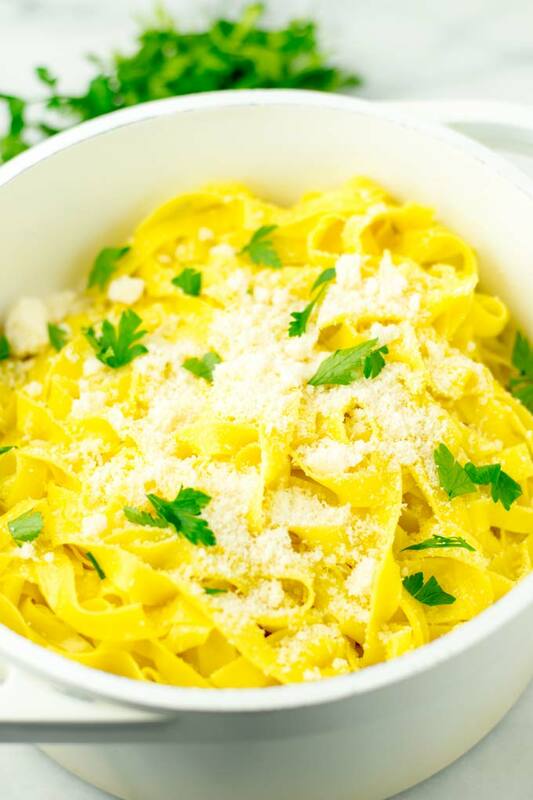 Fettuccine Alfredo: use more nutritional yeast, thicken sauce with flour or starch and serve over fettuccine noodles. Japanese garlic noodles: swap vegan butter for oil. Sesame oil or olive oil work best. Also add mixed vegetables and tamari sauce, skip the vegan parmesan cheese. Give this Garlic noodles recipe a try, tag me on Instagram or Facebook with your remakes. Love seeing all of them, Florian.